Here at Modern-Shed, we often hear our customers ask us about rain screen and how it works with our open-joint siding — Oh, and what exactly is open-joint siding, why does it cost more and what the heck is VaproShield wrapping and Zip Wall system sheathing anyway? We understand your confusion. So let’s break it down for you. First of all, as we out here in Seattle know, you need to protect your wall from the elements. Rain-screen siding is the first layer of defense against the elements, including rain, snow, sleet, wind and even the sun. The idea behind rain-screen siding is simple — first, build an outside wall and weatherproof it (called a building envelope for those in the know) and then construct an outer layer of siding (the rain screen) to keep the weather away from the inner wall. At Modern-Shed, all of our walls are first built with a clear maple ply interior paneling, enforced with studs and are insulated. But here’s where lap siding and open-joint siding differ. With our James Hardie lap siding (and optional cedar siding) that inner wall is wrapped with Tyvek HomeWrap, which protects the wall from outside water and seals the home from outside air. From there, the lap or cedar siding is built over it. Open-joint siding provides extra layers of defense. 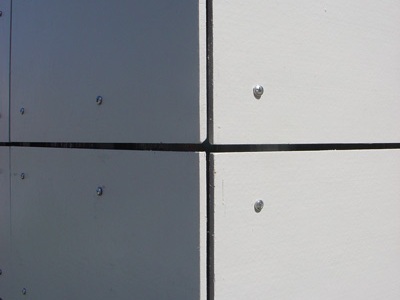 A Zip Wall sheathing system is added over the building envelope as an air and water-resistive barrier — these wall panels install in fewer steps than a traditional housewrap, so that the building is finished sooner. Here at Modern-Shed, we then use state-of-the-art, industry-leading VaproShield wrapping to protect the home further. VaproShield technology is inspired by a frog’s permeable, breathable skin — instead of sealing in a home, the buildings can “breathe,” and still be protected from the elements. The lightweight membranes allow vapor to permeate through, while still protecting the building from harmful moisture by allowing the vapor to then escape, reducing condensation. VaproShield technology is easy to install in all climates, can be installed in tough conditions, are efficient to build, and will save energy in your Modern-Shed — according to a National Institute of Standards and Technology (NIST) study, air barriers save money and reduce energy consumption by as much as 40 percent per year over the life of the building. The shield also reduces allergens by creating a healthy airflow. James Hardie open-joint siding is then added over the wraps and fastened with stainless fasteners, completing the open-joint process. The concept of rain-screen siding has been around since as early as the 12th century A.D. — but technology has advanced a lot further since then. Whatever your Modern-Shed needs may be, we hope you consider open-joint siding as smart solution to protecting your structure. 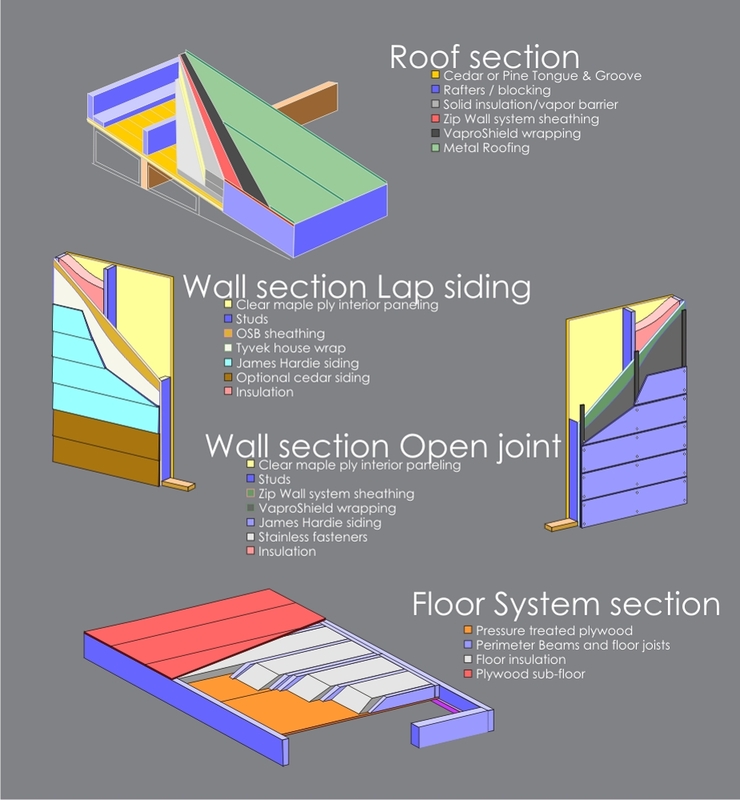 Check out a visual representation of lap versus open-joint siding. 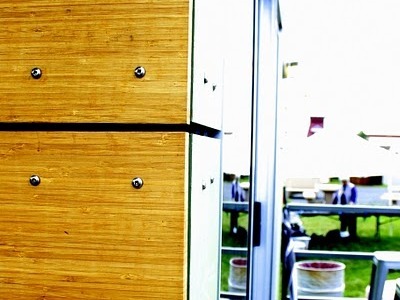 At Modern-Shed, we offer James Hardie open-joint siding, protected with VaproShield and Zip Wall sheathing technology. Open-joint siding provides a breathable option to protecting your Modern-Shed. Very nice sheds your building. I see the benefits of the rain screen system but on the sheds you use lap siding, do you typically use smooth 12″ hardie plank? For about a 10″ reveal? I saw some pics and it looks great. Thanks!